SD Card Data Recovery Software recovers lost, deleted, accidentally formatted and missing files including audio/video clips, pictures, music files, documents and other important data from memory card storage device. Data recovery utility provides safe recovery of all deleted media files from logically damaged or corrupted memory card. Software supports recovery of lost data saved in different file formats like MOV, AVI, BMP, MP3, MP4, txt, GIF, MIDI, MPEG etc. Software supports all major memory card formats like USB removable media drive, CF card, MMC, Secure Digital Card (mini SD, Micro SD, SDHC Plus), Picture card, Micro drive, flash media, Memory stick etc. Program supports all major brands of memory card including Samsung, Acer, Digital Dream, Casio, Nikon, Toshiba etc. Memory card data restoration utility is useful to recover all type of files and folders lost due to improper device handling, hardware/software error, virus infected memory card, power fault, accidentally corrupted or formatted memory card or and other similar data loss reason. 1. Software supports all major digital media brands Kingston, Sony, Transcend, Toshiba etc. 2. 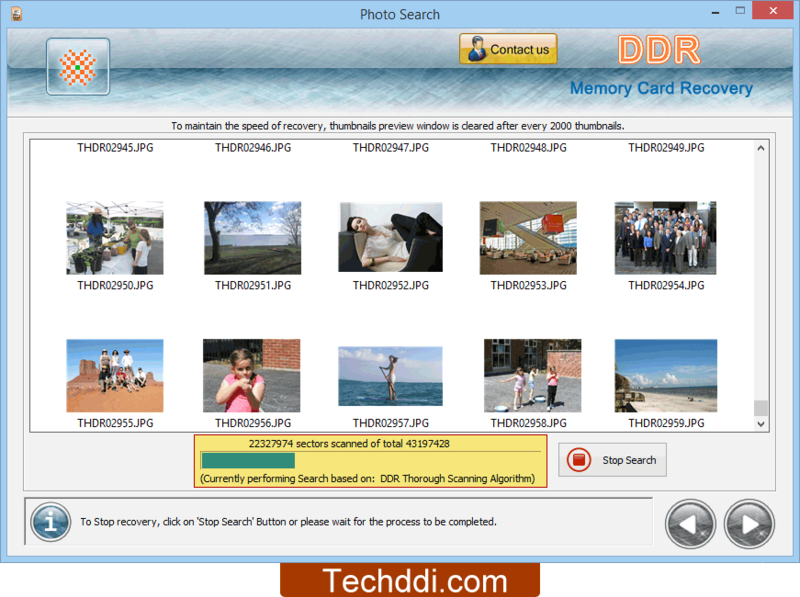 SD card data recovery utility helps to recover deleted or missing files and information from corrupted or damaged memory card. 3. Software is useful to recover data lost due to human fault, hardware error, improper device handling, accidently formatted memory card etc. 4. Software provides facility to recover lost data due to formatted or re-formatted memory card. 5. Memory card recovery application supports recovery of lost data from all type of memory cards like SD card, CF card, SDHC card, memory stick and other type of memory card storage devices.